With our expertise in this domain, we are able to manufacture and supply Roller Coat Wall Coatings. The offered wall coatings are formulated by the experienced professionals using qualitative pigments, quartz and calcite. All our coatings are known for their optimum quality as these are manufactured in compliance with the industry standards. These are widely used for outdoor and inside texture coating. Our coatings are water-repellent that offers wonderful confrontation. We specialize in manufacturing an exquisite range of Roller Coat Wall Coatings. The roller coat paints we offer are weather proof and are widely preferred than the ordinary paints. 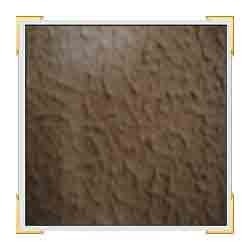 These are widely used on exterior surfaces to provide very flat finish. Our coat paints are also available with extra fine aggregate to give a high build textured finish. Moreover, customers can avail these paints in different eye catchy colors and textures. • Outstanding water resistant property. Looking for “Roller Coat Wall Coatings”?